For the Sudanese community in South East Queensland, sport and faith are playing an important role in bridging the gap between cultures. 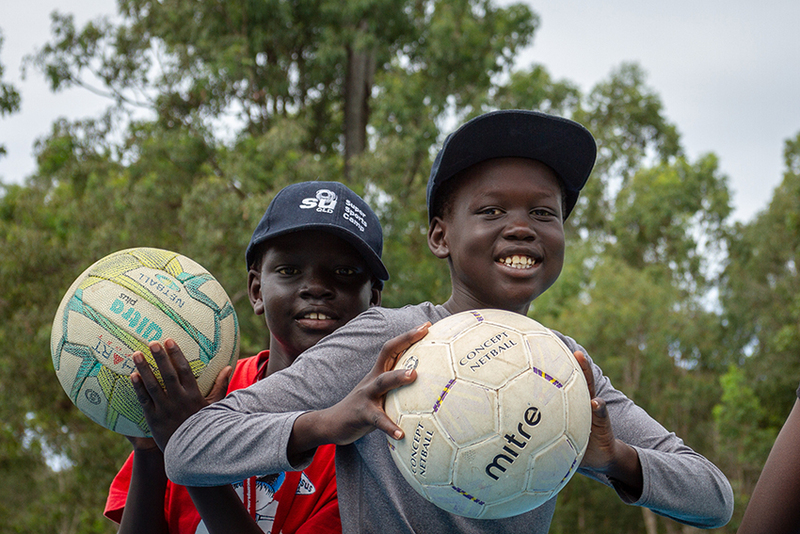 Senior Pastor at Hope Pointe Church, Debbie Garth, works closely with the Sudanese community in Caboolture, so when an opportunity arose to partner with SU QLD and run a sports camp, she jumped at the chance. As some of the families weren’t able to drive their children to camp, Debbie and her church arranged for a bus service to help get them there and back. “With permission from the parents, we organised a bus that went around the neighbourhood, picked up the kids and took them to camp,” Debbie says. Debbie says the camp was a huge success, with many parents asking her when the next one was coming up. “The kids absolutely loved it. They love playing sport and it was the highlight of their holidays,” Debbie says. “It meant a lot to the parents to be able to send them on a Christian camp where there are people who can be trusted to watch over them. One father from Caboolture, Kosh Khor, was so glad he could send his sons to the sports camp, thanks to the trust he had built with Debbie. “It’s hard to trust anyone with my kids, but with Debbie there’s no problems,” Koch says. “We can trust her to take the boys in the morning on the bus and drop them back in the afternoon. “My kids had a great time at the camp. It was really fun for them and they made a lot of friends. For Kosh, sport was an important part of his upbringing – a passion he’s actively passing down to his sons. “Sport is great for wellbeing – when you play sport it energises you, it’s more than just fun,” Koch says.